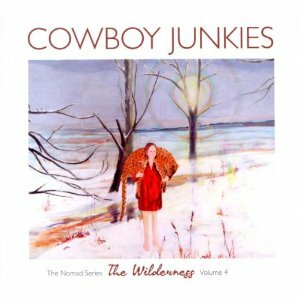 "The Wilderness" is part four of a very ambitious schedule from Cowboy Junkies - The Nomad series. The Nomad series is four albums released over an 18 month period. For most bands, 18 months between albums is around normal, so to release 4 in that period is almost unheard of - thats one new album released every four and half months. The first album in the Nomad series was "Renmin park", followed by "Demons" and "Sing in my meadow", and the series ends with this new album, "The Wilderness". As if releasing four albums in 18 months wasnt ambitious enough, there are actually bonus EP's available (digital downloads only) to accompany two of the albums, so thats 4 albums and 2 EPs in 18 months ! Over the last 27 years, Canadian band, Cowboy Junkies have released 16 studio albums, several live albums and a number of singles and built up a dedicated following. Their music is hard to describe - the best I can come up with is a blend of alternative, blues, country and folk with maybe a hint of rock thrown in for good measure. However you try and describe it, one thing is clear - it's extremely good and is very pleasant relaxing music to listen to. The songs are well written, the music is great and the vocals are superb - what more can you ask for in an album? I must confess that this is the first album by Cowboy Junkies that I've listened to, and I'm seriously impressed. I've had the album on repeat play for the last couple of days while I work and can confidently say that this is a fantastic album. "The Wilderness - The Nomad series volume 4" is out on March 26th via Proper records.